You can pack BIG things into a small package! Treasure Valley's Flirtation (Flirty) is proof! Flirty is a powerhouse of big genetics and the result is a strong, big boned and compact female. Loaded with beautiful light silver grey fleece that has wonderful handle, beautiful high frequency low amplitude structure. Fleece coverage goes all the way to the tips of her toes. 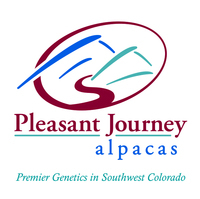 SOLD - CONGRATULATIONS TO ALPACAS OF MOOSE CREEK!! We are so proud to announce that PJA Manchester's Dixie Rose took a 1st place and Color Champion (class of 10) in her first show as a 7.1 month old!!!!! 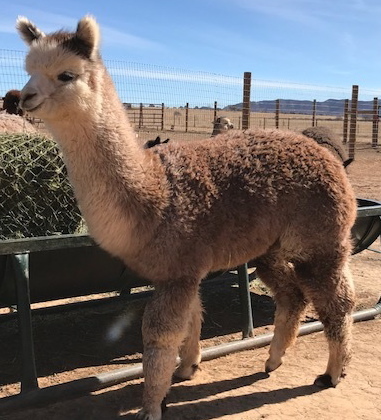 Dixie Rose went to the top of the class of 4 stunning rose grey juvie females at Futurity 2018 and won 1st place!! This girl rocks!!! She keeps on killing it at shows! Look at her show awards!! Simply stunning! Each time we open the fleece on this young lady we exclaim "WOW"! Treasure Valley's Flirtation and NeverSummer's Manchester combined to create a very lovely classic rose grey female! Look at her genetics! 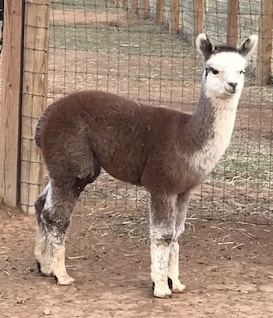 Granddaughter of Aussie .38 Special (sire side) and Tres Equis (dam side). 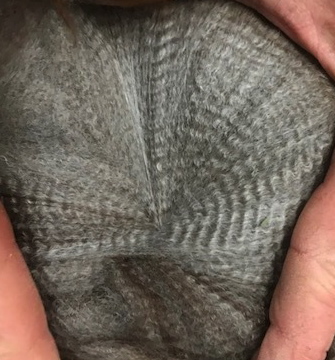 Dixie exhibits the fleece qualities that every grey breeder longs for.... great staple, impressive density, fineness and consistency. And the crimp style is over the top! This is all packed on a nice solid frame. PJA Manchester's Dixie Rose is a girl to watch and she just might be the one to add to your program! 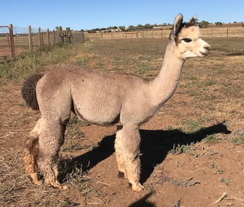 First Place MOPACA 2018 (class of 10 grey juvenile females) - Diana Timmerman *comments glowing on fineness, uniformity of fleece, brightnesss and density. 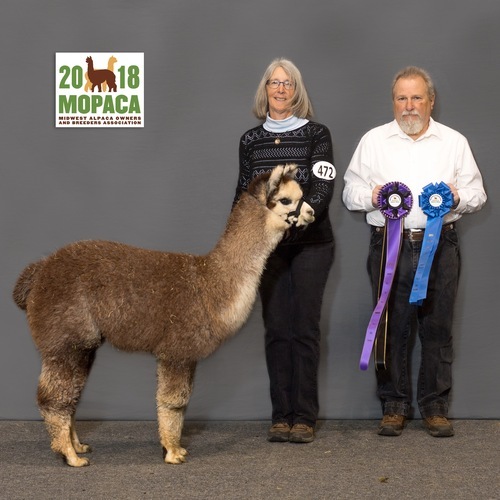 Color Champion MOPACA 2018 - first show!!! First Place A-OK Blast Off 2018 - Sharon Loner - fine, soft, great structure and uniformity with Lovely body conformation- great package! 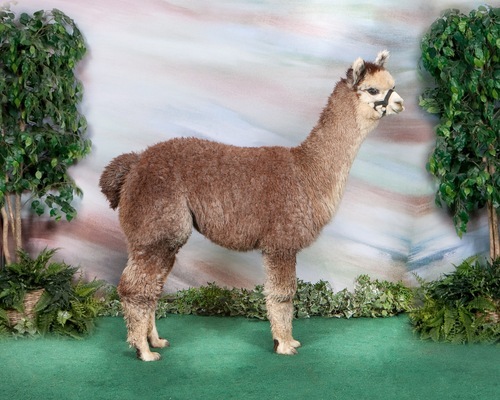 First Place Showtacular 2018 Fleece show - Cheryl Gehly - 79.5 points with a fineness/handle score of 19 out of 20!! !